When Qantas commenced the Kangaroo Route from Australia to London in 1947, it took four days and nine stops. Now you can fly the 14,500km non-stop from Perth in 17 hours and aircraft are already on the drawing board that will be able to fly even longer routes. In this article we’ll look at factors that can affect your comfort on a long-haul flight. In follow-up articles we’ll provide tips on minimising jet-lag, packing tips, and how to remain safe on an overseas trip. If your budget won’t stretch to sitting in the pointy end of the plane in First Class, Business Class or even Premium Economy, then how do you survive being cocooned in a metal (or carbon fibre) tube on a long-hail flight?. Not all seats in Economy are created equal so the seat you select can make a world of difference to your comfort (and sanity) on a long-haul flight. Nothing is free these days so you’ll pay extra for the some seats, especially those with more legroom. Remember however, that airlines can change your seat allocation even after boarding for operational, safety or security reasons. Some airlines provide a slightly better seat pitch (the distance between the back of your seat and the back of the seat in front) that should translate into a little more legroom on long-haul flights. You can find the seat pitch for your airline and aircraft type at seatguru.com in the ‘seat map’ menu. 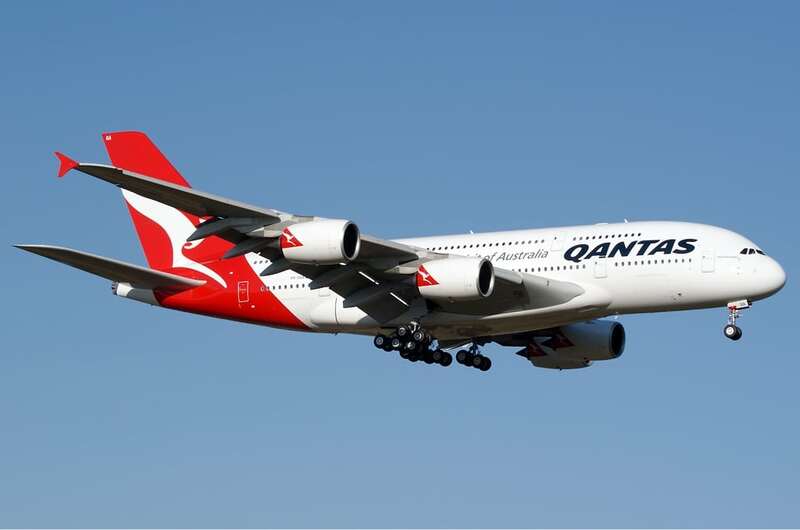 Click here to see the seat configuration for a Qantas Airbus A380 and here for the Boeing 787 Dreamliner. Best section of the cabin, front, middle or rear? Most frequent flyers agree that the forward section of the cabin is best. It’s quieter in front of the engines and you’ll be the last to board and first to disembark. Some prefer the middle section over the wings. This is close to the aircrafts centre of gravity and it’s claimed you’ll experience less turbulence here. The rear section is generally regarded as the least desirable as it’s the noisiest and you’ll feel more turbulence back there. You’ll also be one of the last off the aircraft and possibly (depending on which part of the aircraft galley service starts) the last to be served a meal. However, it has one advantage; if the flight isn’t fully booked, you’re more likely to find an empty row of seats allowing you more space to stretch out. You’ll find savvy travellers snap these up as soon as the doors close but it’s a good practice to ask a flight attendant before changing seats. The obvious seats to avoid are those in high-traffic areas near toilets and galleys. This can be a matter of personal choice but it’s wise to avoid the middle seat(s) in a row of three or four if you value some personal space and travelling alone. They can feel claustrophobic and you’ll be sharing your armrests with two others. Aisle seats are convenient if you regularly get up to move around the cabin but remember that you’ll be the one disturbed if those seated next to you need to visit the toilet or decide to stretch their legs. Window seats are usually a good choice. Although there’s not much to see from 35,000 feet, you will have the chance to take some photo’s during take-off and on final approach to land. If you want to sleep during the flight with as little disturbance as possible, then a window seat is your best option. You can prop a comfy pillow up against the outer cabin wall to rest your head on. Of course, if you’re travelling with family or friends, you can always swap seats during the flight to keep everyone happy. Airlines have restrictions on who can sit in an exit row. These seats have a minimum age limit and you must be willing and physically able to assist the flight crew and other passengers in case of an emergency. Exit row seats will give you more legroom but they are also areas where other passengers tend to stretch their legs or congregate to chat. They can also be close to toilets and galleys so it’s best to check the seat plans for your airlines aircraft type on a website like seatguru.com This site also has reviews and comments from previous passengers about their likes and dislikes of particular seats. Bulkhead seats will give you a few centimeters extra legroom and you won’t have anyone in front of you reclining their seat. On the downside, these seats are usually located near toilets or galleys so it can be a busy area. Your fellow passengers may also treat the extra space this row offers as a convenient cabin cross-over passage. Without a seat in front to tuck small personal items under, they must be placed in the overhead lockers during takeoff and landing. Entertainment screens and tray tables fold out from your armrest and can prove more restrictive and cumbersome. These rows are also where airlines usually locate bassinets for infants so you will need to accept the possibility that you’ll have a crying baby as a neighbour. If you think the extra legroom outweighs the disadvantages and you’re prepared to pay a little extra, then an exit row or bulkhead seat is for you. Check-in bags can get lost in transit so it’s essential that your carry-on bag has all your travel documents, important valuables and any medication plus a change of cloths suitable for your destination. Pack items that will keep you comfortable and entertained during the flight. An eye-mask, earplugs or noise-cancelling headphones and a neck pillow will help you get some rest. Back-up entertainment on your tablet or an eBook will help with the boredom. Include hand sanitising wipes and lip balm in your toiletry bag. The first rule is to wear comfortable, loose fitting or stretchy cloths on a long-haul flight. You can avoid wearing stiff jeans, tight waistbands and knee-high boots and still look stylish. Cabin temperature can vary from warm to downright chilly during a long flight so take along cloths you can wear in layers as needed. A zip-up hoodie can keep you’re head and neck warm and they usually have pockets you can use to keep your hands warm and store a few snacks. If that’s not your style, then pack a scarf and jumper. Flat, comfy slip-on shoes are a must and a pair of woolen socks will keep you feet warm. Ultra long flights can take a toll on even the healthiest individual. If you have a medical condition, you should always consult your doctor before flying and in some cases the airline may require a written clearance from your GP or medical specialist. Airlines and some destination countries also have policies regarding pregnant women flying. You can find some good general advice provided by Qantas here. Hours of inactivity and sitting causes fluid to collect in your lower legs that can result in swollen feet and ankles. And long periods of immobility may be a risk factor in the formation of blood clots in your legs (deep vein thrombosis or DVT). To reduce the risk, it’s recommended that you walk up and down the aisles at least every hour or so and do some stretching exercises to boost blood flow. Wearing compression stockings may also help reduce the risk of DVT. Most airlines have a section in their in-flight magazines and on-board entertainment screens with suggested exercises and tips that will help you stay fit and healthy during a long-haul flight. What you eat before the flight can be just as important as what you consume when you’re in the air. Eat a light meal in the hours before your flight and avoid starchy, salty and oily foods. Vegetables like capsicum, carrot cucumber and snow peas are fine but stay away from broccoli, cabbage, cauliflower and beans as they will leave you feeling bloated. Don’t expect five-star silver service in Economy but airlines have improved their menu in recent years. If you want a healthy option and be one of the first served, you can pre-order a vegetarian meal up to 24 hours before your flight (other meal options also available). Bring some snacks and fruit from home. Bananas and unsalted nuts are good choice. A block of dark, unsalted chocolate will give you an energy boost and sharing it with the cabin crew might just earn you some brownie points. It’s always tempting but stay off the alcohol, carbonated drinks and coffee; they’ll leave you dehydrated. Water is the way to go … at least a cut every few hours. There’s one other thing you can do to make the start of your overseas trip less stressful; book a ride with Revel Drive and arrive at the airport feeling fresh and relaxed in one of our Tesla zero emission vehicles. Our chauffeur will assist with your luggage and be there again to collect you when you arrive home. Check here for more details Airport and Cruise Terminal Tesla Transfers. We hope you found this Blog useful and we would love to hear about your experience on a long-haul flight.